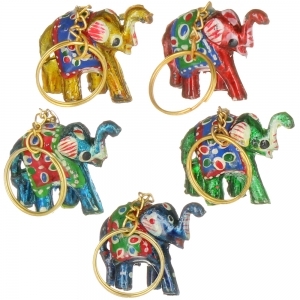 Elephant Key Ring (height 3.5cm). Delightful little elephant key ring with brightly coloured decoration, would make a lovely gift or treat for yourself. Available in Red, dark Blue, Light Blue, Green and Gold, supplied in a pack of 10 assorted.